Always a pleasure to walk on the moor and admire the view of the Yorkshire Dales beyond. In November, the farmer who rents my land took the cattle back to his farm to winter indoors. The empty fields, minus the cows and calves (the sheep vacated in October) have given us more opportunities to take walks here at home without concerning ourselves about the above-mentioned bovine mothers becoming stressed at the presence of the dog, and us. Walking a little ahead of me are daughters Lizzy and Sophie with their little ones and son Joss lending a welcome hand. Walking towards the far field and zooming in we see the bottom edge of the North East edge of the airport. A wonderful pleasure to view your glorious photos from your picturesque walk…..
Good Morning/Evening Ivor, Thank you so much for your kind comment. I’ve had a hectic day or two and have a stack of posts to catch up on including yours. How are you? Do you feel you are improving, any more outings into town? It’s 7:15 pm here Sue. So glad to know you always enjoy your walk. Almost 11:15 AM here and a bit grey and damp. Thank you Arlene. Lovely views, but how could they be otherwise in Yorkshire? It remains in your heart doesn’t it? Thank you Peter. You have such a beautiful place to walk, Sue. What wonderful countryside you are surrounded by Sue. Tim and I really need to get ourselves up to that part of the world soon. So excited by this photo challenge – though it’s going to be tough making a choice! I used to take it for granted, but now I’m older I’ve become far more appreciative of living here. When we set this challenge Selina, I immediately thought about you and how much you’d have to offer, and yes it must be very difficult for you to choose! Hi Sue, my name is Ginger. I live in Orange County, NY. 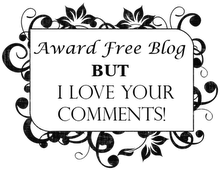 I have read your comments on Lois’ blog, pets and prisoners. I wanted to see more so I clicked on your blog and started reading and knew I had to follow you! I love your writing….great sense of humor….and your photos are top notch. I’m crazy about cows, well all farm animals, but their fragrances not so much! 😜 The countryside there is simply gorgeous. And your dog is a sweetheart. I do not blog myself, but I get great enjoyment following a select group of gifted wordsmiths such as yourself. So if you have no objection to a non-blogger tagging along, I would love to be part of your community. Brian, Thank you very much for the link. How could I not enjoy watching and listening to our very own Yorkshire Anthem. I remember when this was filmed, the local TV did a big thing about it. Great version. A long time ago a group of us walked several miles over the top of the moor and I climbed to the top of the Cow and Calf Rocks. Oh to be that fit again! Thank you again Brian, I love this version.